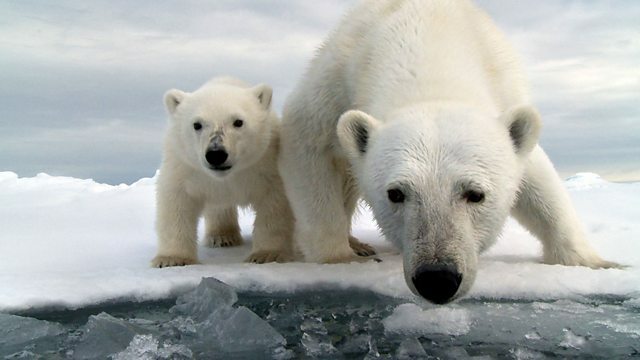 Documentary which uses spy cameras to get closer than ever before to the world's greatest land predator, the polar bear, revealing their intelligence and curiosity. The cameras are just a breath away when two sets of cubs emerge from winter maternity dens. They also capture the moment when the sea ice breaks away from the island in the spring. As one set of mother and cubs journey across the drifting ice in search of seals, the other is marooned on the island with very little food. How they cope with their different fates is captured in revelatory close-up detail. The cameras also follow the bears as they hunt seals, raid bird colonies, dive for kelp and indulge in entertaining courtship rituals. Icebergcam even discovers their little-known social nature as seven bears share a washed-up whale carcass. Often just a paw's swipe from the play-fighting and squabbling bears, the spy cameras face their most challenging subject yet. When their curious subjects discover the cameras, they are subjected to some comical-but-destructive encounters. As the film captures its intimate portrait of polar bears' lives, it reveals how their intelligence and curiosity help them cope in a world of shrinking ice.